Lexington Car Accident Lawyer says client, not the lawyer, has the right to decide how to resolve claim. If you are the unfortunate victim of an auto accident, truck accident or motorcycle accident near Lexington, KY, then you will probably need the services of a Lexington car accident lawyer. While you are being represented by a Lexington car accident lawyer, who will have the right to make the important decisions in your case- lawyer or client? The reality is that Lexington car accident lawyers are making many important decisions without consulting with the client. There are two types of Lexington car accident lawyers. One type tells the client what they will do when it comes to settlement or filing suit or any other major decision. The other type provides the client with all the relevant information and gives his or her advice on how to proceed, but allows the client to make the decision. The Troutman Law Office subscribes to the later philosophy. Here is how the failure to understand that the case belongs to the client can harm the client. In your case, the insurance company’s final offer is $50,000.00, but the lawyer believes that the true value is $100,000.00 and, therefore, he decides you will try the case. You go to trial and the jury awards you $30,000.00. This result is acceptable if you make the decision, but it is not acceptable if the lawyer makes the decision without consulting you. You just lost $20,000.00 and endured a stressful trial. The lawyer can move on to his next case, but you only have one case and his incorrect judgment of what the jury would do just cost you $20,000.00. Here is an example of how a case should be resolved. Your case is worth $100,000.00 and the insurance company is only offering $50,000.00. Although the Lexington car accident lawyer recommends suit, he advises the client of everything and she decides to accept $50,000.00 because, if she files a lawsuit, she will have to sue her sister and she does not want to do that. It is her case and her decision of when and how to settle her case. Contact Lexington Car Accident Lawyer for FREE Case Evaluation! Lexington car accident lawyer Matt Troutman of the Troutman Law Office will handle your case aggressively to obtain the best result possible, but he will always keep you informed and respect your right to decide how and when to resolve your car accident case on your terms. If you have been injured in a car accident due to the negligence of someone else, call Matt Troutman or by email at troutlaw3550@gmail.com or by completing the free case evaluation form on this page. 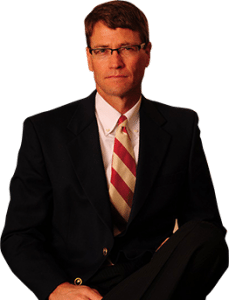 If you want to learn what former clients of the Troutman Law Office have to say about Matt Troutman, click here.